Online groups startup Fridge said it has been bought by Google and will become part of the Internet giant's freshly-launched social network. New York city-based Fridge is closing and its small number of staff will become part of the Google+ team, the startup said in a post on its website. Online groups startup Fridge said Thursday it has been bought by Google and will become part of the Internet giant's freshly-launched social network. New York city-based Fridge is closing and its small staff will become part of the Google+ team, the startup said in a post at its website. "We look forward to continuing the vision of creating fresh and exciting social group experiences for users across the Web," the Fridge message read. "We strongly believe in the group social experience and couldn't think of a better place to realize our vision" than at the Google+ Project. More than 20,000 groups had reportedly been formed at Fridge for sharing pictures, opinions, videos and more. The website boasted more than 40,000 users monthly. "The Fridge team shares our vision of bringing the nuance and richness of real-life sharing to the web, and we're excited that they'll be joining Google," a spokesperson for the California company said in response to an AFP inquiry. 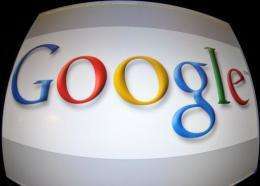 Google+, a rival to Facebook, launched on June 28 and has been a hit despite the fact that membership is invitation-only while the service remains in a test phase. Google chief Larry Page said last week that the Google+ social network already has more than 10 million members. The service allows users to separate online friends and family into different "circles," or networks, and to share information only with members of a particular circle.